Diamond Fun Casino Entertainment provides quality casino gaming tables and all equipment with professional croupiers at your venue. Our quality casino tables are all kept in pristine condition and feature blue or black baize tops with black cushioning surround and mahogany ‘H’ style legs. We pride ourselves in offering luxury equipment for the most professional fun casino. Our Roulette Wheels are full sized casino wheels and all equipment is genuine casino equipment exactly the same as you would find in a real life casino. At the start of your event we will provide your guests with fun money with which to exchange for chips at the gaming tables. 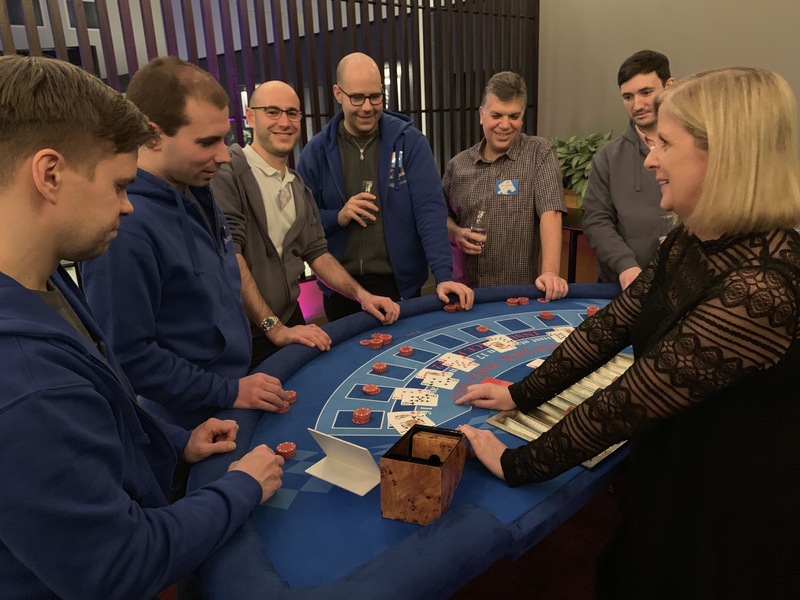 All casino games will be explained in full by our experienced croupiers, but we usually find that the guests who are first to play take delight in sharing their new found ‘expertise and knowledge’ and are willing to pass on tips to their fellow guests which contributes to a totally interactive event. The fun casino gambling is purely for entertainment, but you may, if you wish, provide prizes for the ‘Top Winners’ of the evening. What To Hire Our Fun Casino For? 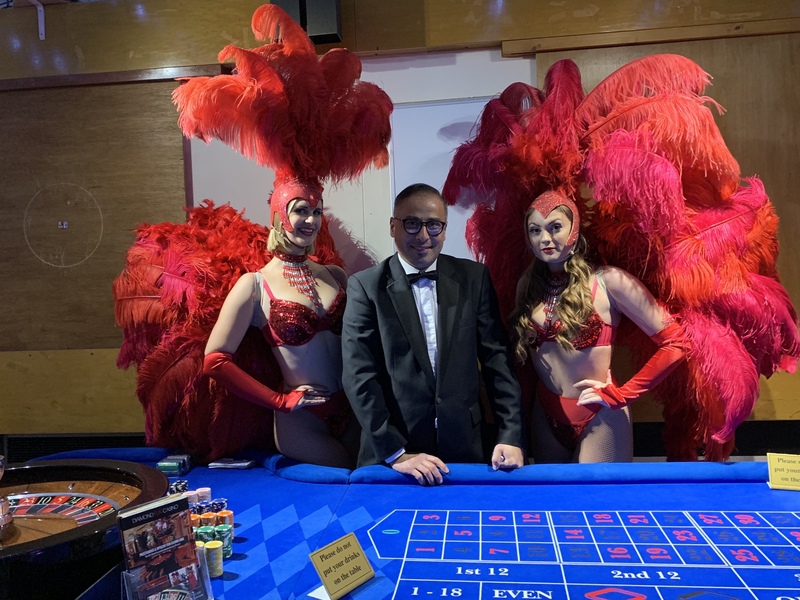 with professional, genuine casino experienced croupiers at your venue. just the same as you would find in a real casino anywhere in the world. top casino winners of the event. to help raise hundreds of thousands of pounds for good causes.